Experience the new fantasy world of ancient Persia. 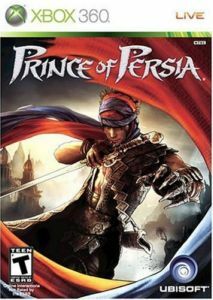 Masterful storytelling and sprawling environments deliver a brand new adventure that re-opens the Prince of Persia saga. You have the freedom to determine how the game evolves in this non-linear adventure. Decide how you unfold the storyline by choosing your path in the open-ended world. In this strange land, your rogue warrior must use all of his skills, along with a whole new combat system, to battle Ahriman's corrupted lieutenants to heal the land from the dark Corruption and restore the light. Also, history's greatest ally is revealed in the form of Elika, a dynamic AI companion who joins the Prince in his fight to save the world. Gifted with magical powers, she interacts with you in combat, acrobatics and puzzle-solving, enabling the Prince to reach new heights of deadly high-flying artistry through special duo acrobatic moves or devastating fighting combo attacks.